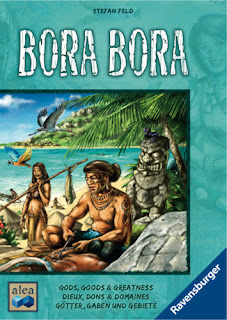 Newly released from Ravensburger is Bora Bora, another big strategy game by designer, Stefan Feld. In Bora Bora, players build huts and populate them with men and women, who help them during the game. Additionally they will send priests to the temple to influence the Gods. Players use dice to perform a variety of actions using careful insight and tactical planning. The first phase of each of the 6 game rounds begins with players simultaneously rolling their dice and then in turn selecting one of their die and placing it on an action tile. The key element to Bora Bora is that when placing a die on an action tile the value of that die must be lower than the lowest value of die already occupying that action tile. Placing a high valued die may yield you more options within that action while placing a low valued die will limit your opponents. 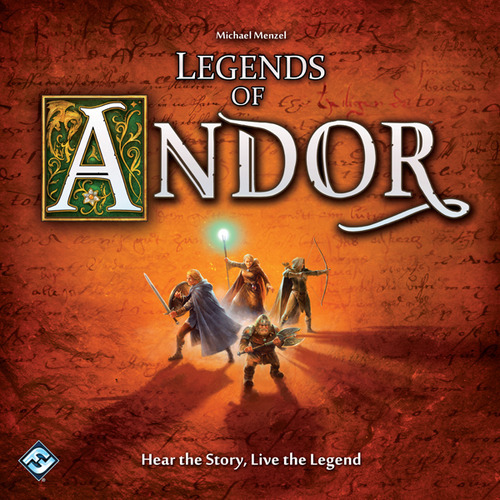 Legends of Andor is the winner of this year's prestigious Kennerspiel des Jahres, German Game of the Year Award for more advanced games. Hear the story and live the legend in Legends of Andor, a cooperative adventure game. 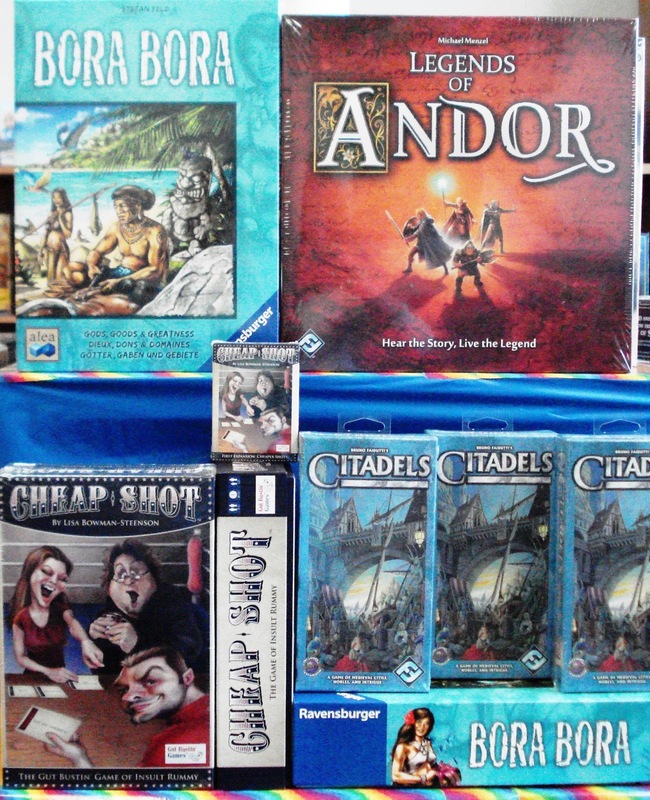 Players take on the roles of heroes and heroines that band together to defend the fantasy realm of Andor from invading hordes of monsters. Over the course of 5 unique scenarios, players will embark on dangerous quests with a final scenario created by the players themselves. On their journeys, players will seek out the witch, travel to dwarfs in the Deep Mines, and confront the ancient dragon. The key to victory is in managing which heroes or heroines will strike out to complete quests and which ones will devote themselves to defending the castle. Also newly released is Cheap Shot from Gut Bustin' Games. 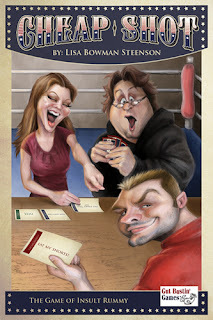 The gloves are off in this card game of biting insults and sassy block. Enter the ring with a hand of 7 cards and prepare to dish it out and take it. 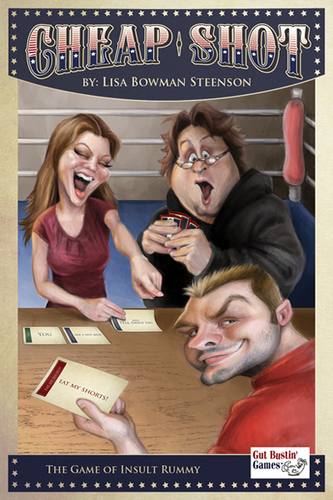 Players will use the cards in their hand to formulate an insult directing it to an opponent. The insulted player may then block the insult by playing a red block card. The more cards used in an insult the more potential for bigger points. Blocked with a: Oh, blow it out your earhole! red card.